Today’s #BEDN post prompt was ‘light’. Most people will probably write about light in rather a different way to me, especially because today is the main celebration of Diwali, the Hindu festival of light, and Happy Diwali to everyone celebrating! But, this is what’s happening in my life, and so I’m writing about ‘light’ as the opposite to ‘heavy’… Because, after lots and lots of deliberating, I’ve sold my bike. 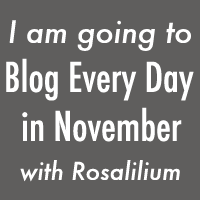 Those of you who have been following this blog for a while will remember that it took a lot of deliberating roughly a year ago before I bought it! 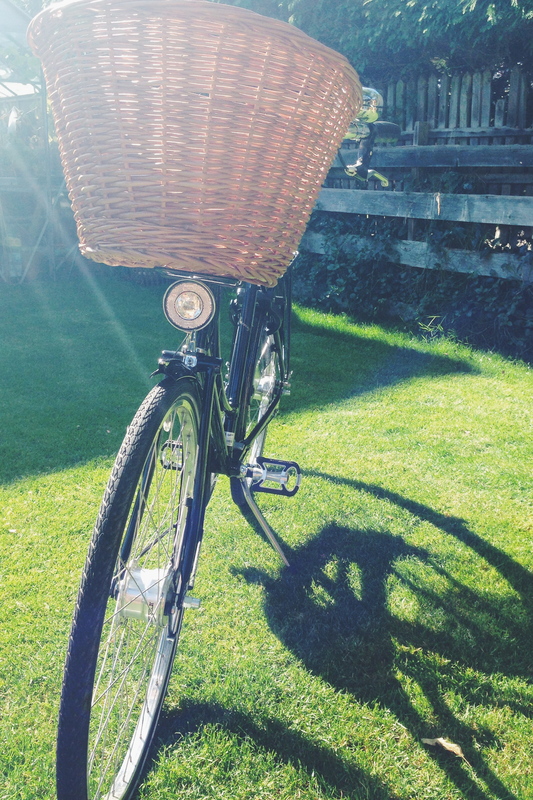 The Pashley Princess is a beautiful thing. It’s utterly classic with immaculate, historic design credentials and that lovely leather Brooks saddle is the cherry on the top. I loved it. But in truth, I never should have bought it. In my head, the Pashley was perfect for me. It’s pretty bomb-proof, so it would have lasted forever, the saddle was nice and comfy, the upright position perfect for a spot of nosying into other people’s gardens whilst cycling past and the basket on the front useful for putting my food shopping in, whilst slowly pottering my way along nice flat roads of Cambridge. Ah, but wait. I don’t live in Cambridge. Or York. Or Norfolk, for that matter, or anywhere else flat that might spring to mind. Holland, maybe? I live in West Yorkshire. In old coalfield territory. We have hills here. And I’d been kidding myself all along that it wasn’t a problem. The last straw really came a couple of weeks ago when we decided to have a short cycle ride to visit my Grandma. She lives a mere five or six miles away, and I knew we’d have plenty of time to rest before making the return journey so I thought it would be totally fine. I was wrong. On leaving home, almost straight away we hit a hill, and by the time I got to the top of that, I was red-faced, and somewhat nauseous (sorry for that image!) whilst my lovely boyfriend Stephen, on his carbon-fibre road bike looked as fresh as a daisy. By the time we got to Grandma’s I was feeling quite sorry for myself and I think she was somewhat alarmed to see the colour of my face! A nice sit down and a cup of tea helped restore my natural colour and then we set off back home. The return journey was even hillier, as we went a different, slightly longer way. We’d nearly reached home, and I’d had a big change of heart. Instead of thinking that I was slow and struggling because of the bike, I’d really started to think that perhaps I was slow and struggling simply because of me. Thinking that it was purely my lack of fitness, or simple ineptitude was starting to make me want to get off the bike, throw it into a hedge and walk away without a second glance. Thankfully, before I’d got to that point, Stephen realised what was going on. He stopped, jumped off his bike and offered to swap. My beloved 91 year old Grandma gave me one piece of advice when she saw how exhausted I was from riding such a heavy bike. Good work. This post just made me smile. Haha, you can’t beat a bit of no-nonsense granny advice! I can totally relate to that ‘light’ feeling you have now, I dither and dither over things before finally deciding to just get rid or not bother, and I feel so much better afterwards! Oh Liz, lol. I can totally relate, sort of! I’m a motorcyclist. I bought a motorcycle in 2007. I thought it was perfect for me. Until I had two accidents injuring myself both times. With the last requiring reconstructive surgery on one of my knees. I decided to trade it in for a smaller, less weighty one. I’m so happy I did. When you replace your Pashley Princess you’ll love the replacement. The things we go through to learn about life… it’s amazing! haha. Hello! Goodness – reconstructive surgery sounds like a painful way to reach a decision, poor you. Lovely post! Written with a lightness of touch that I really enjoyed, and a fitting goodbye to the Pashley bicycle.